The boy had, in the far-away country, a vision of his old home. As he sat there and thought of his dishonor and his ruin, there flashed before him a picture which made him very home-sick. The vision brought back the old home in all its beauty and blessedness. There was plenty there, while here the once happy, favored son was now starving to death. It was a blessed moment for the prodigal. It was God’s message to him, inviting him to return home. When a child is stolen away from a lovely and tender household, it may be kept among wandering gypsies or savage Indians even to old age, but there are always broken fragments of sweet memories that hang over the soul like trailing clouds in the sky — dim, shadowy memories of something very lovely, very pure, reminiscences of that long-lost, long-forgotten past, when the child lay on the mother’s arms, and was surrounded by beauty and tenderness. So there is something in the heart of every one who has wandered from God that ever floats about him, even in sin’s revels — a fair, ethereal vision, dim and far away perhaps, but splendid as the drapery of the sunset. It is the memory of lost innocence, of the Father’s love, the vision of a heavenly beauty possible of restoration to the worst. When the prodigal reached home he found his vision realized. His father was watching for him — had long been watching for him. It is a picture of the heavenly Father’s loving welcome of every lost child of His that comes back home. Thus He receives the worst who comes penitently. Our sweetest dreams of God’s love are a thousand times too poor and dim for the reality. 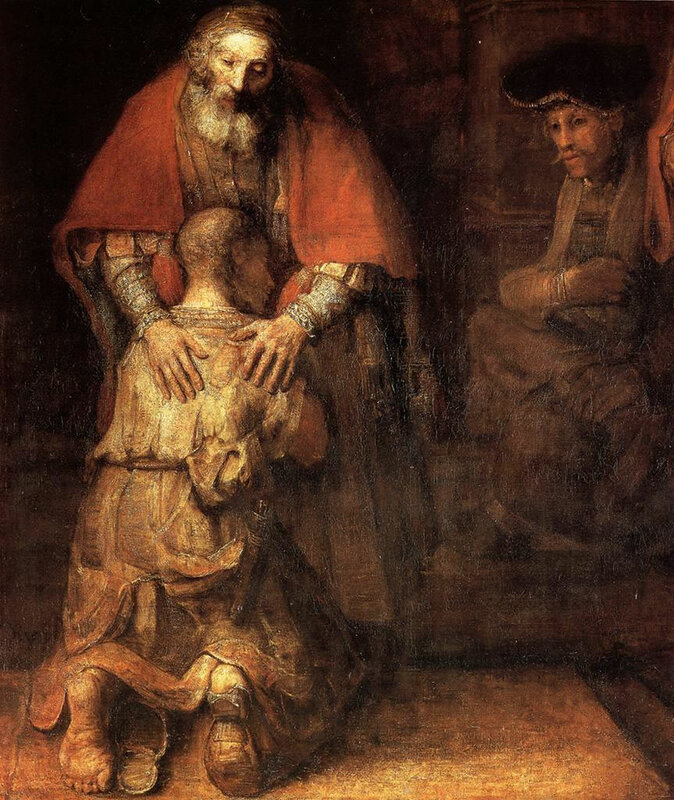 A great way off God sees the returning prodigal, and runs to meet him. No matter how far we have wandered, there is a welcome waiting for us at home. I have had to edit Pastor Miller’s comments a bit, but absolutely nothing to its original content or integrity. Whatever he has written carries the content he was realizing. I posted this on BB because of his sincere message and burden.